Those lunches look great! 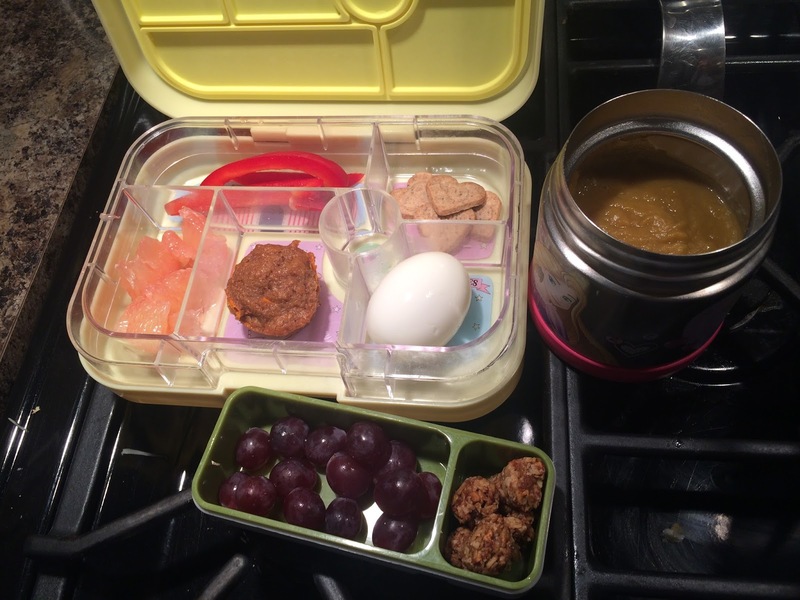 So different. I stick with main meals my kids like and I always pack based on their likes. 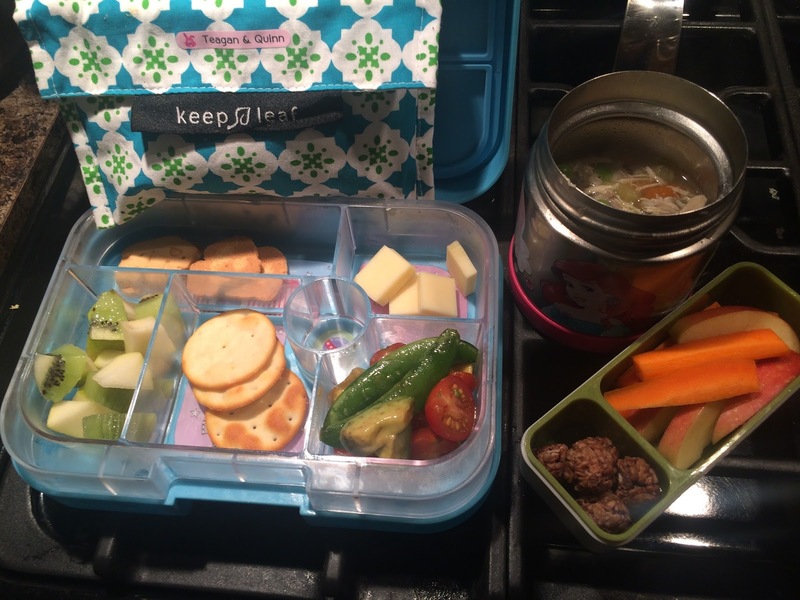 It's not too bad packing different meals/snacks for the kids. 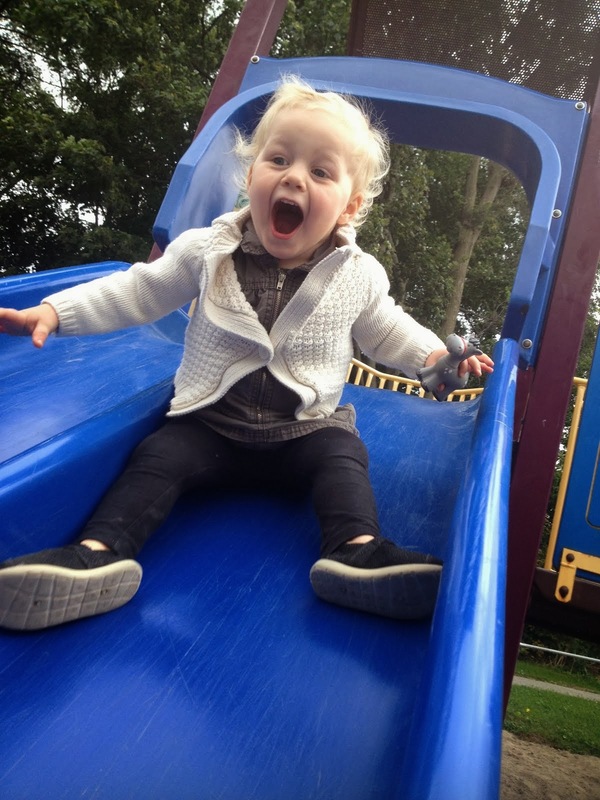 For instance, only Quinn likes kiwi but they all like grapes. I keep that stuff in mind when I buy fruit/veggies/snacks and make sure I always have a couple of things each kid likes. 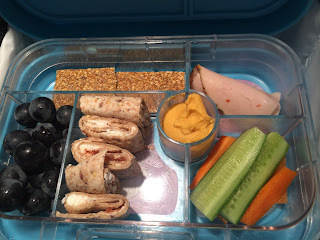 I try to offer a variety of snacks so that they don't get sick of one thing. 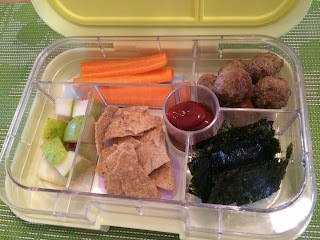 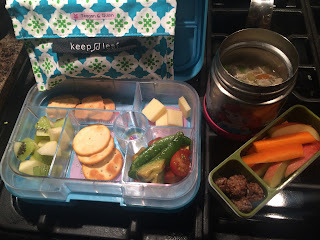 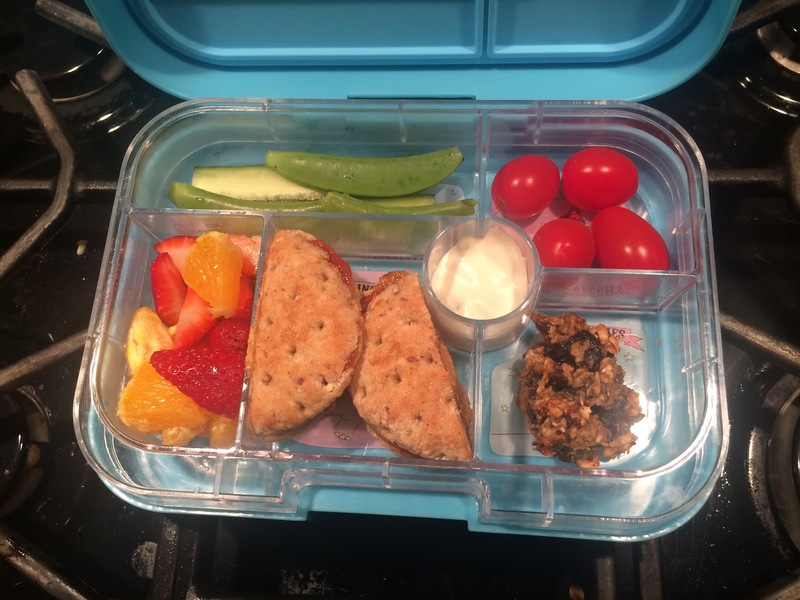 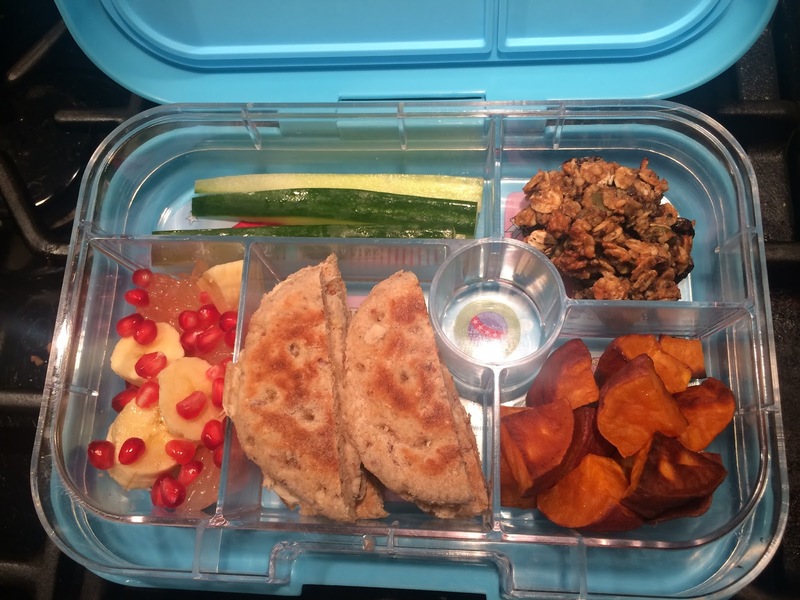 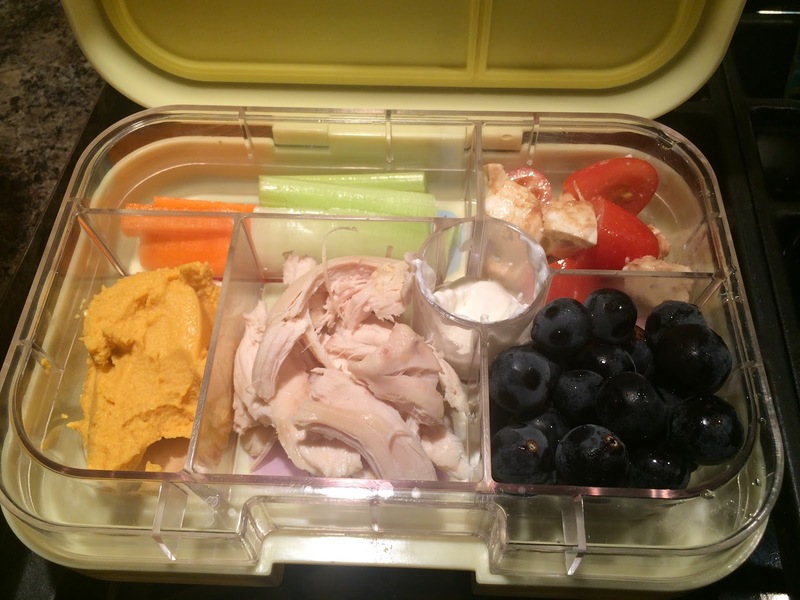 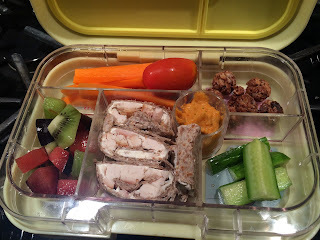 My go-to easy lunches are cold cuts, hummus and chips, salsa and nachos, melba toast and cream cheese (Riley spreads it herself at school so I pack it all separately and send a plastic knife), soup, beans, meatballs...those Thermos containers are amazing and keep the food warm.